Should we outsource our IT Support needs? Should we stay or should we outsource? It seems like almost every business who has not already moved to outsourcing their IT support to a Managed Services Provider has at least came to the fork in the road where they have had to decide. 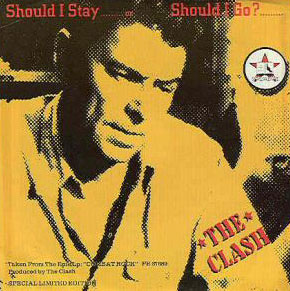 It reminds me of The Clash song, should I stay or should I go. 🙂 I am not sure why it does, but none the less, it is an important decision to consider. The implementation of Managed Services reduces the IT costs by 30-40% for businesses. Organizations gain flexibility and technical advantage with them. Outsourcing provides risk sharing and reduces IT costs and IT commitments so that businesses are able to concentrate on their core competencies. Organizations implementing managed services have reported almost 50-60% increase in the operational efficiency of their outsourced processes. Businesses have accepted outsourcing services as a means to enable them reduce their Capital Expenditure (CapEx) and free up internal sources. Managed Services Market Forecasts and Analysis (2013 – 2018), “The managed services market is estimated to grow from $142.75 billion in 2013 to $256.05 billion in 2018.” Businesses across all industries are taking advantage of Managed Services Providers, seeing IT more as a utility. A CompTIA study reveals that 89 percent of current managed services users are very satisfied or mostly satisfied with their experience. Performance and uptime; agreeable contract terms; a secure environment; and the flexibility to easily and quickly add new services all contribute to customers’ satisfaction. After reading the above stats, I guess you should “Rock the Cashbar” and keep more of your hard-earned money in the business by switching to a Managed Services Provider!